In an effort to honor President Abraham Lincoln in commemoration of the 150th anniversary of his death and interment at Oak Ridge Cemetery in 1865. 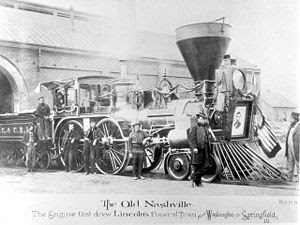 House Republican Leader Tom Cross (R-Oswego) has filed a resolution calling on the United States Secretary of the Treasury to mint a Lincoln Sesquicentennial coin in time for circulation in April and May of 2015, the period during which Lincoln’s funeral train made its way from Washington, D.C. to Springfield. The resolution, HR 474, was filed on June 20 and specifically urges the Citizens Coinage Advisory Committee to study and make a recommendation to the United States Secretary of the Treasury on the production of a Lincoln Sesquicentennial Coin. The resolution states that such a coin should be minted for circulation in April and May of 2015 in memory of President Abraham Lincoln and the reunification of the United States as symbolized by his funeral train to Springfield, Illinois and the subsequent re-enactment of his burial on the 150th anniversary of the original event on May 4, 2015. 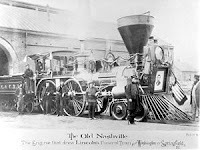 The “processional re-enactment” will take place in Springfield on May 2 & 3, 2015. Organizers say these dates were selected because holding this event on the actual anniversary of Monday, May 4th created a major shut down of the city streets on a business day. The resolution can be considered by the House of Representatives as soon as the week of July 8, when the General Assembly is expected to reconvene in Springfield for a special session.